If you know someone who loves their chocolate, they will be delighted to sink their teeth into this decatent basket of chocolate treats. Many gourmet chocolates from an array of different makers. 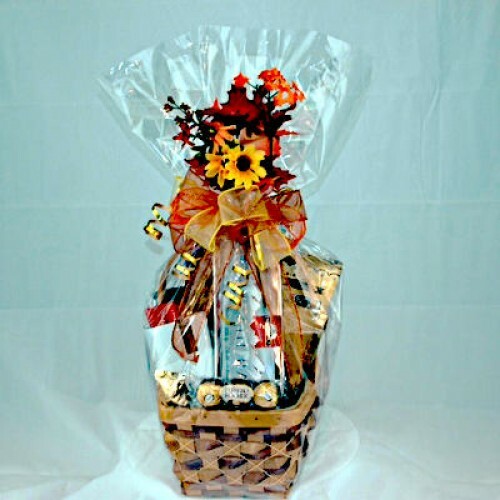 A basket that will cover many occasions such as Christmas, Easter, Birthdays, Get Well, Father's Day or Mother's Day. 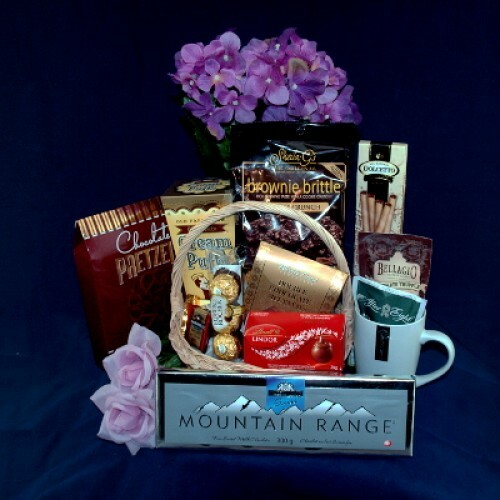 *All snuggled up in Saran with Bows and silk flowers decoration making this a beautiful gift for any chocolate lover on your gift giving list.